Jim Culver has never stayed in one place for too long, but now he's making tracks to save his own life. The U.S. Army doesn't take kindly to civilians killing their officers—even in self-defense. And they've hired the bounty hunter from Hell to catch him. But Jim has two things in his favor: the new .73 Winchester he's carrying—and the ability to use it. 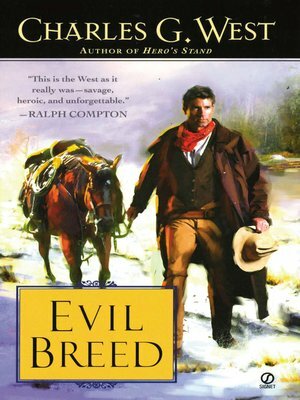 If bounty hunters are a breed apart, then Slocum is the most evil of them all. Big, nasty and bullying, he could be an artist's rendering of pure evil. But the Army thinks he's just the man to catch Jim Culver. The only hitch is that he has to bring his quarry back alive—and that's not something Slocum cottons to. But if there's a way around that—he'll find it.